Phrasal verbs are not students favourite topic, are they? Enjoy them! The present downloadable handout is a great resource for high school students and adults at Pre-intermediate (A2) and Intermediate (B1) level. 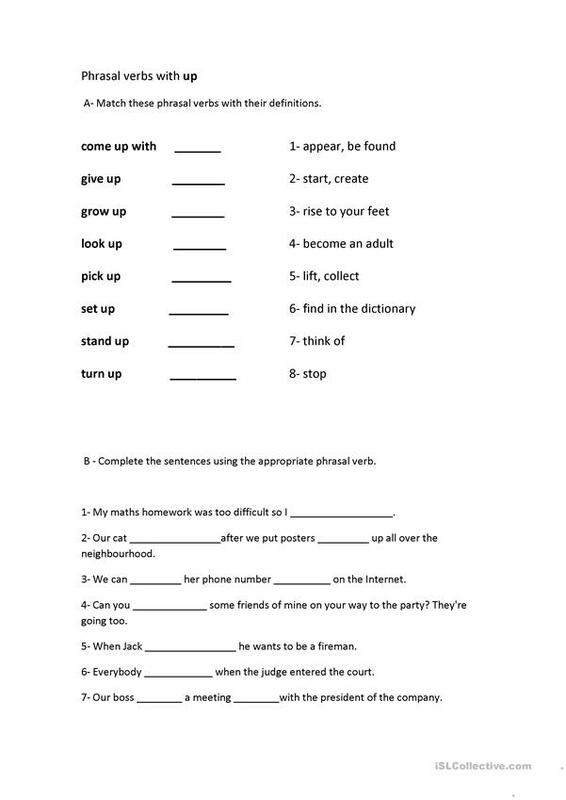 It is a useful material for revising Phrasal verbs in English, and can be used for honing your groups' Reading and Writing skills. yesicaegonzalez is from/lives in Argentina and has been a member of iSLCollective since 2012-07-08 17:05:57. yesicaegonzalez last logged in on 2012-07-08 18:59:26, and has shared 1 resources on iSLCollective so far.